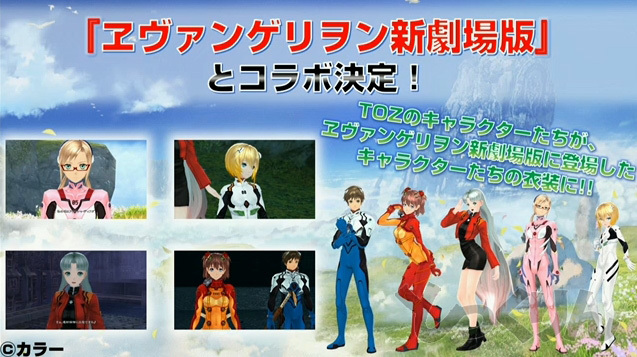 The Yappari Tales of Stage event at Tokyo Game Show just ended, and here's a round-up of all the news announced there so far, the highlight being Tales of Zestiria getting Evangelion costumes. 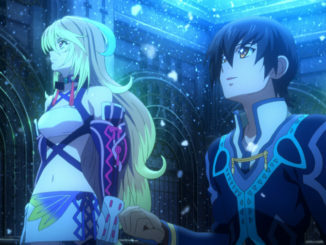 The Tales of Zestiria TV Anime Special will be premiering on December 31st. 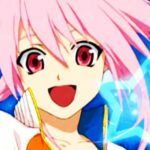 More on that here. 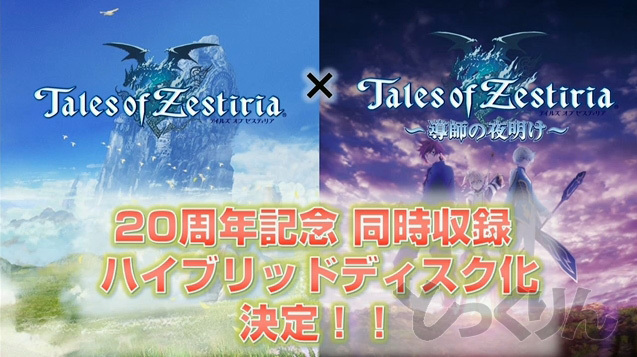 A hybrid disc of the Tales of Zestiria game and the TV anime short was also announced, and apparently the price will be the same as the regular game? Availability to be announced. 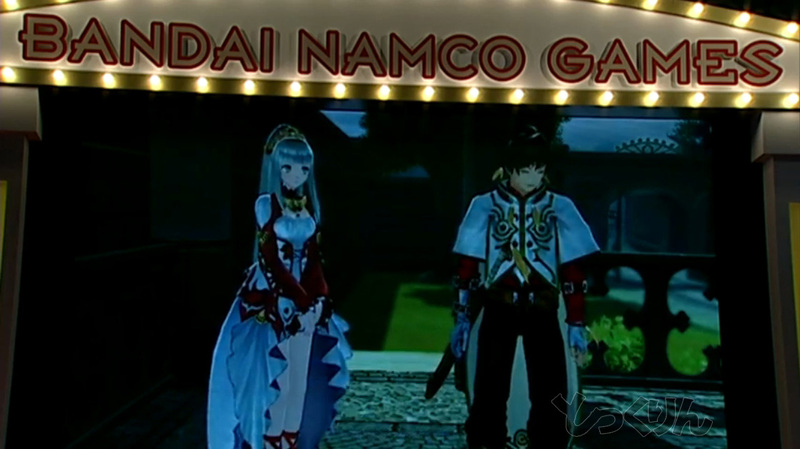 At the event, they showed new game mechanics and battle trailer. 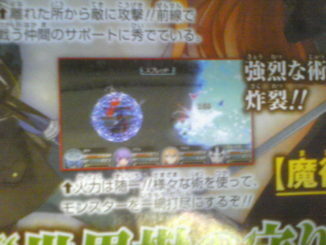 Above, you can see that the accompanying character on field can be changed, this time showing Mikleo instead of the usual Alisha. Short chats are also available while on this mode. 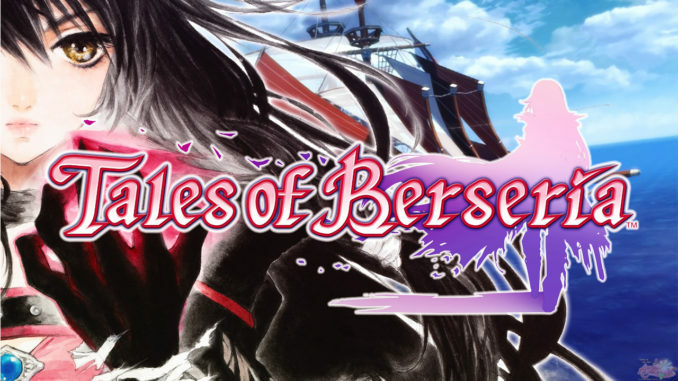 The funny thing about the battle trailer is that they didn't show either Rose or Zaveid in battle. 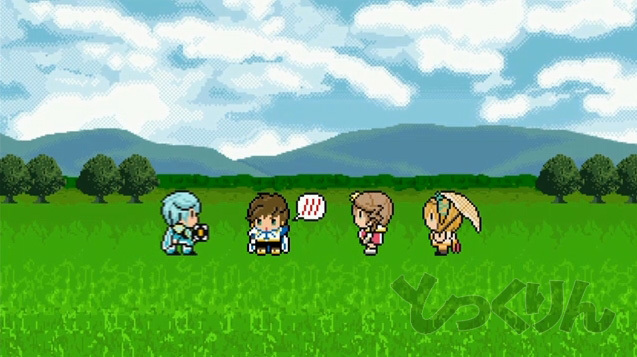 An animation of what seems to be the Tales of Zestiria pre-order bonus rubber straps was also revealed. 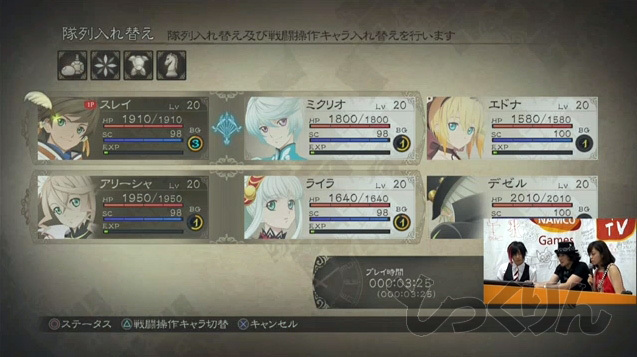 Ordering Tales of Zestiria from 7-Eleven branches in Japan will get you a DLC codes for a 7-Eleven Color Costume for Sorey and a 7-Eleven Themed Recovery Arte. 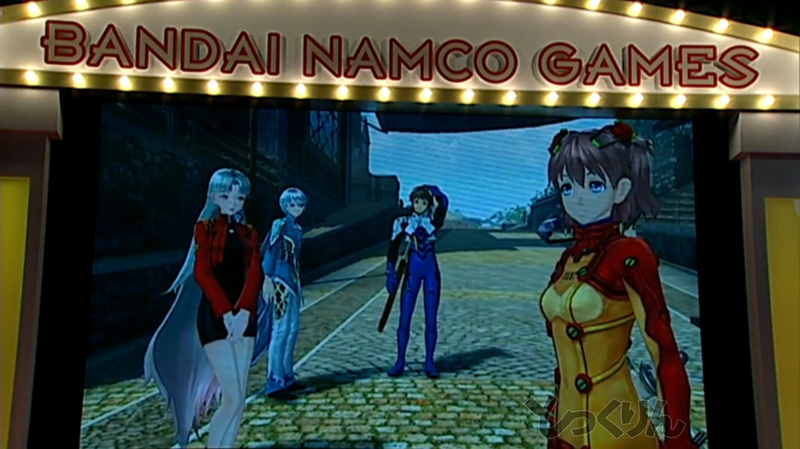 The costume is basically Sorey's outfit in green and red, I think? 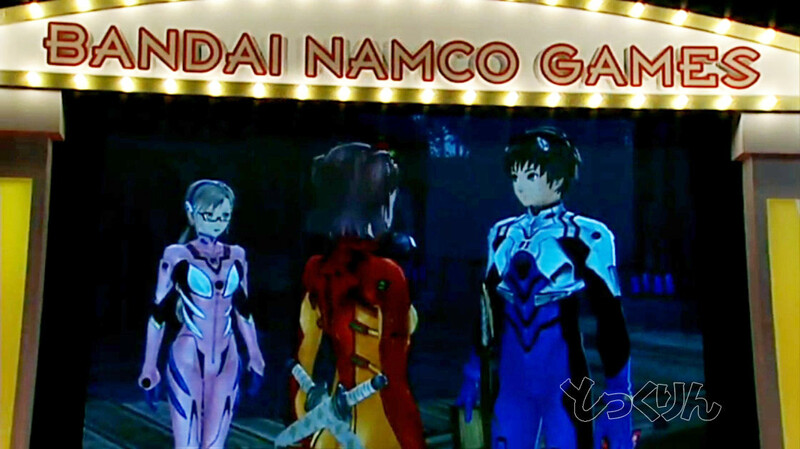 It's hard to see with the quality of the screens. 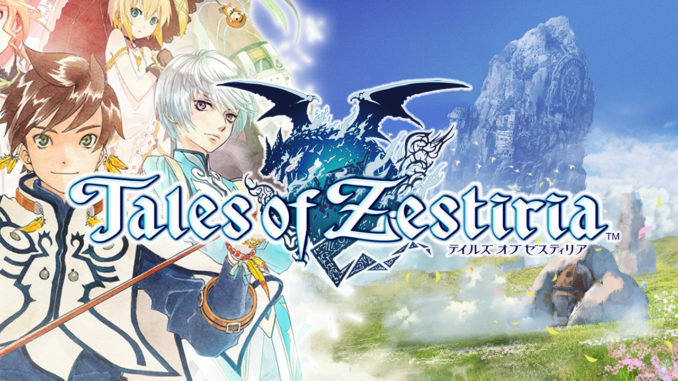 Ordering the bargain cheaper versions of Tales of Vesperia, Tales of Graces f, Tales of Xillia and Tales of Xillia 2 as its 20th anniversary collection will also get you a Tales of Zestiria PS3 theme. 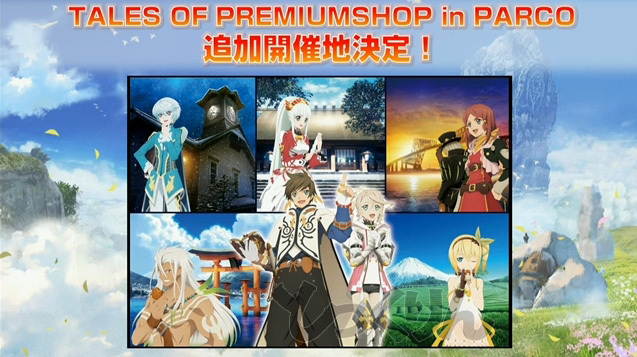 Tales of Premium Shops will also be opening around Parco branches in Japan. 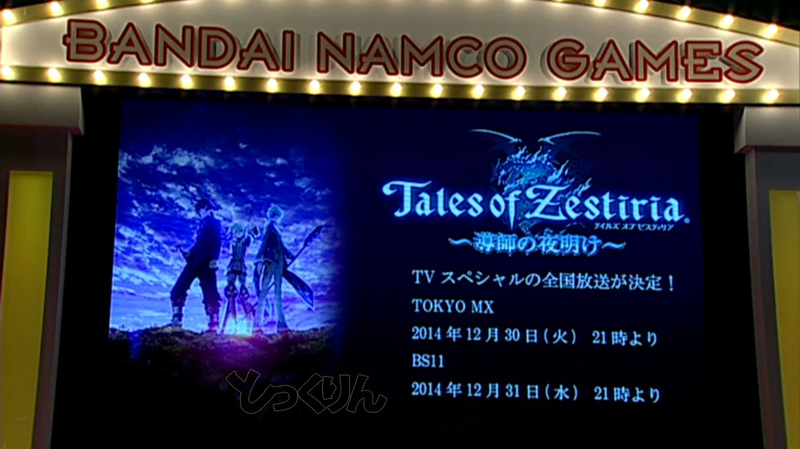 A schedule of times and branches was given for the Turtlez Shops. 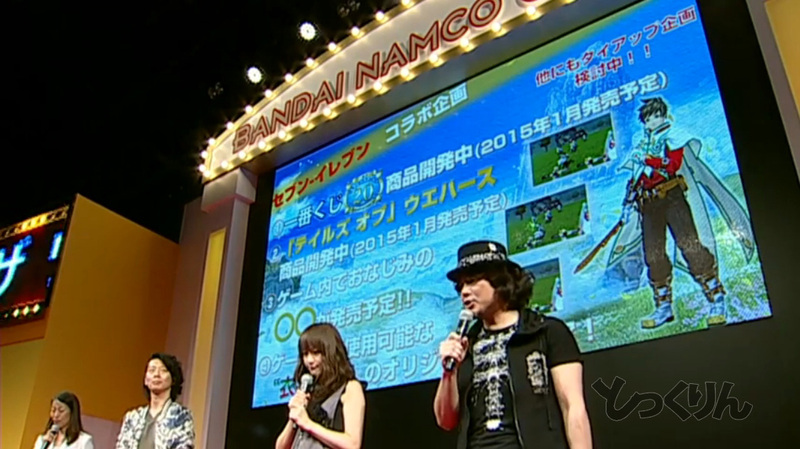 There'll be Zestiria-inspired clothing by Putumayo, which is actually what Baba-san's been wearing to the stage. 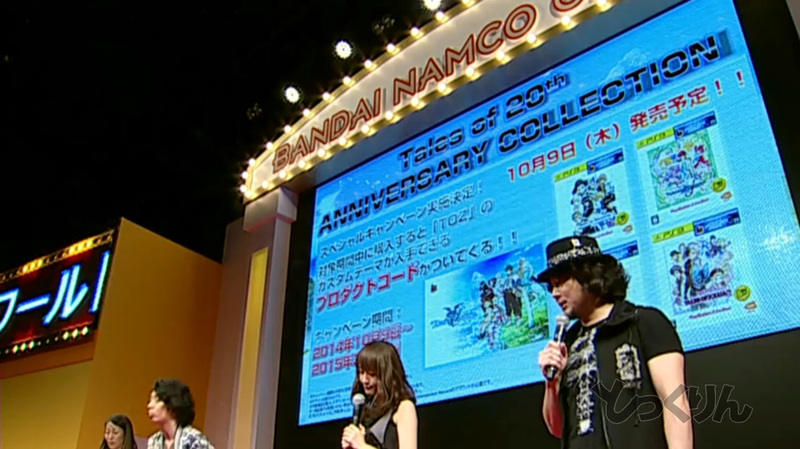 They also showed Zestiria-themed PSN cards. 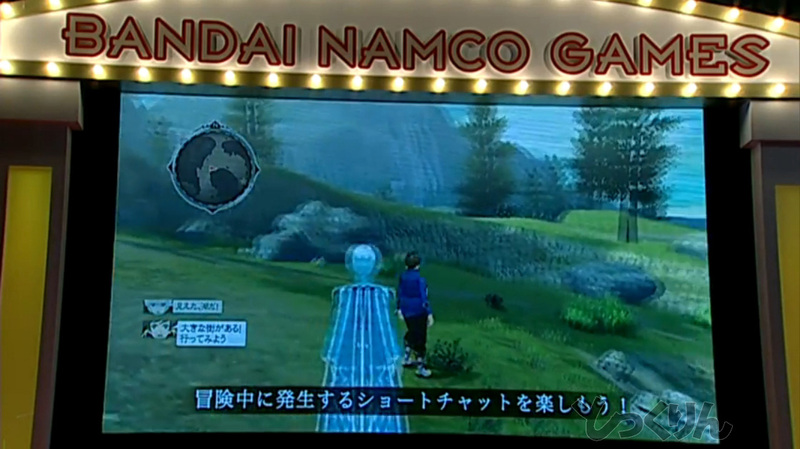 Tales of Zestiria is only 4 months away for those in Japan. 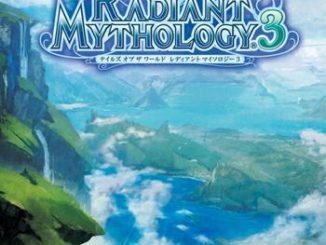 Do you guys plan on importing the game?